BEFORE ATTEMPTING TO INSTALL MODS, BACKUP YOUR SAVES! YOU HAVE BEEN WARNED! Step 2: Now, you have to open your minecraft.jar file. This can be found here: C:\Users\(insert computer name here)\AppData\Roaming\.minecraft\bin. It can also be found by searching for “%appdata%” in your start menu. Once you have searched for “%appdata%,” you have to follow the same path as stated above. 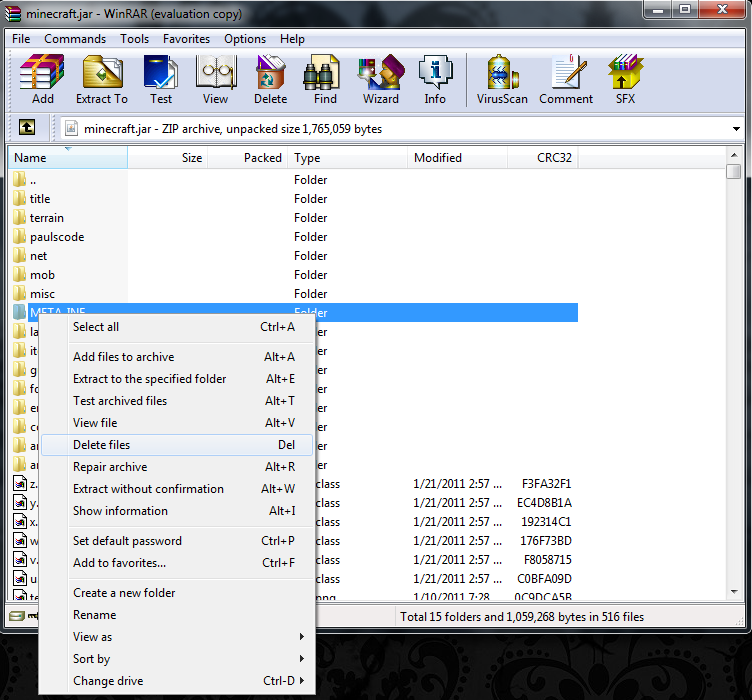 Step 3: Open your minecraft.jar with Winrar by simply dragging the .jar into Winrar. 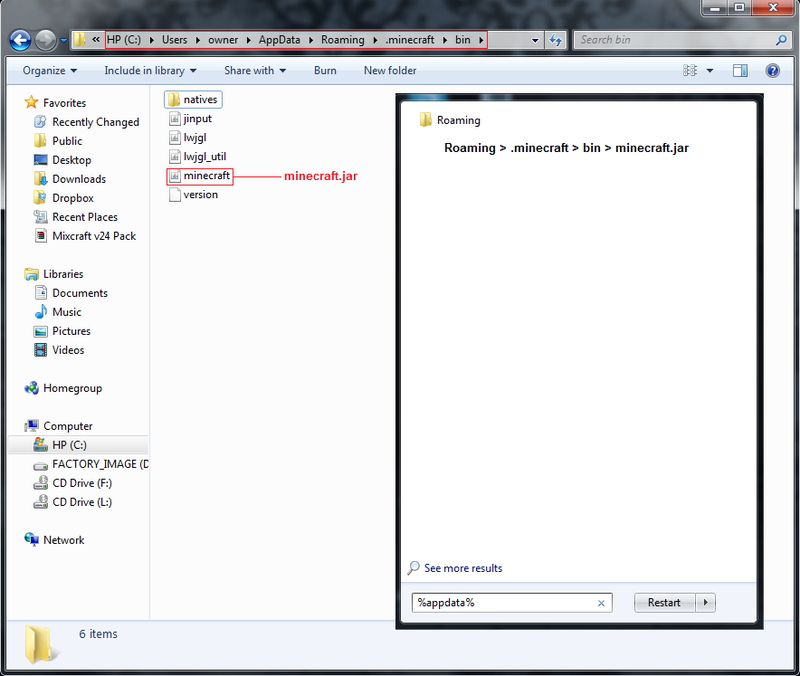 Step 4: Open the .zip/.rar/folder of your mod and drag and drop the contents into the minecraft.jar. Sometimes some contents must be entered in different places besides just the main minecraft.jar directory. Before this step, you should check the original post of the mod to know where to put the appropriate files. An example of this sort of mod is the Mo’ Creates Mod by Dr Zhark. 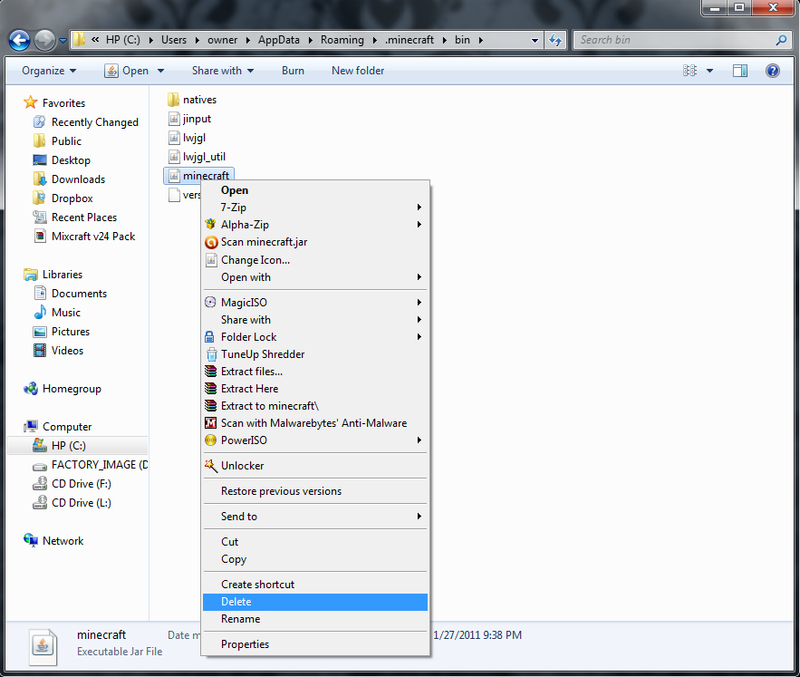 Step 5: Delete the META-INF folder in the minecraft.jar. Close minecraft.jar. Step 6: Open Minecraft and play! Step 1: Delete your minecraft.jar found here “C:\Users\(insert computer name here)\AppData\Roaming\.minecraft\bin”. Step 2: Open Minecraft, let it auto-update so your .jar can be restord. 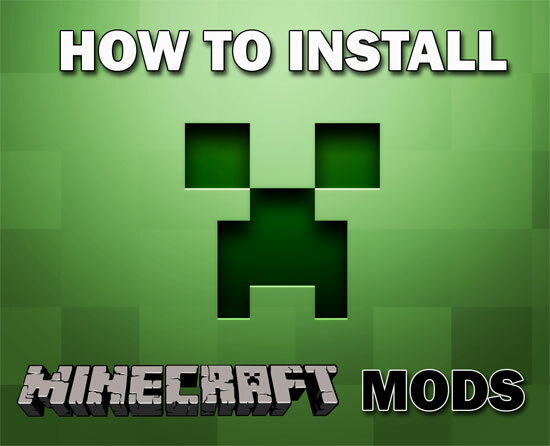 Step 3: Attempt to re-install mod (If you want).